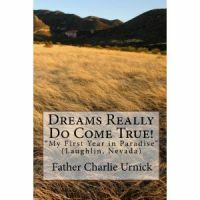 Father Charlie's first book, written in 2011, introduces you to life in Paradise through his sermons here at St. John the Baptist Catholic Church in Laughlin. Fun and easy reading (large print!) following the Sunday Readings at Mass. Father Charlie's second book, written in 2013, continues the adventures in Paradise through more sermons and photos from in and around St. John the Baptist Catholic Church in Laughlin. Large print, more photos, and again follows the Sunday Readings at Mass. Father Charlie's most recent book, written in 2016. A whimsical children's book with incredible original artwork by Toma Ovidiu Julian from Romania.A fine feathered fable for the young at heart! The St. John's Guild decided to put together a recipe book containing their favorite recipes. 166 pages of incredibly tasty treats! Large print and easy to follow directions. We are the only Catholic Church in the United States which meets every weekend in a casino (Riverside Resort, Laughlin, Nevada) so, of course, we have our own casino chips. Awesome souvenirs and keepsakes from your visit to Laughlin and St. John the Baptist Catholic Church! These special silver-colored, real metal chips commemorate our 25th Anniversary (1992-2017). Only a limited supply and they will not be recast when the original supply is sold out. Claim a piece of parish history for yourself and your friends! They are enclased in plastic and come in a special silver keepsake box. A perfect memento of your visit to St. John the Baptist. Original artwork by a local artist (Andy Kohut) beautifully reproduced on a large manget. We like to think that Christmas in our little church is the most beautiful time of the year, and we have created these magnets to keep that beauty alive all year long. A beautiful artistic view of our little church in the Laughlin sunshine. Wear it proudly! We are so proud and happy to be part of the Silver State! These pins beautifully depict our location as the most Southern parish in the whole State of Nevada! May angels watch over you wherever you travel! Our uniquely-designed Nevada Angel watches over us here in Laughlin and everywhere we go. Beautifully crafted and elegantly designed. Several different designs are available and make it so easy to send a note to a family member of friend during your visit to Laughlin. Every morning, we wake up to the love and care of God our loving Father. This 4"x6" photo makes a great reminder of God's care and love. 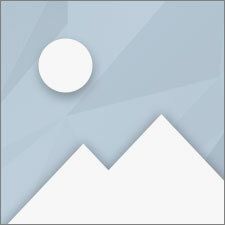 Place is on your nightstand or on your bathroom mirror. It's a great way to start any day! We began using this awesome saying during the Jubilee Year of Mercy in 2016...and we continue to love it and want to share it. 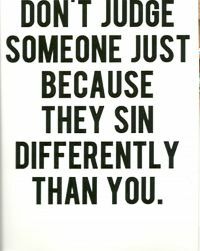 This 4"x6" photo makes a real statement of Christian intentional living and is an awesome reminder of how we need to view other people and ourselves. We offer a wide selection of laminated prayer cards featuring many, many saints as well as Our Lord and Our Blessed Mother. Our Parish Gift Shop has an awesome variety of medals, rosaries, crucifixes, crosses, bibles, holy water fonts scapulars, and so much more. Please stop by the church or see our display at our Masses in Don's Celebrity Theatre at the Riverside Resort.We could not begin to list all of the regular and seasonal items!